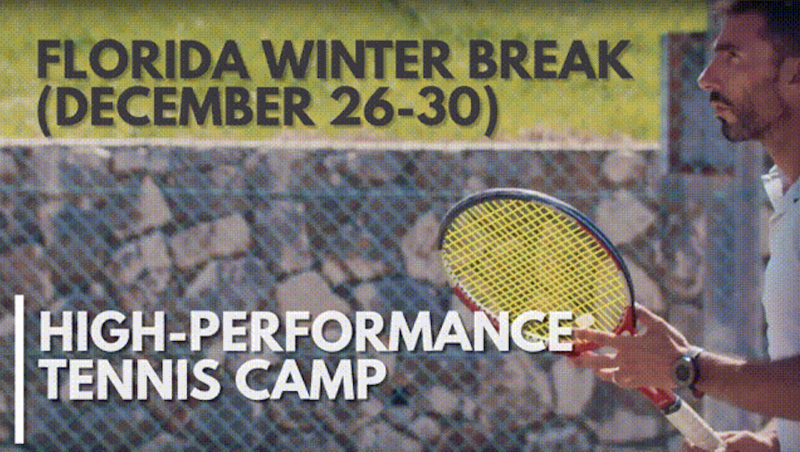 The gang at Nassau High Performance Tennis Academy in New Jersey are joining us at Celsius Tennis Academy for a holiday tennis camp between December 26th and December 30th. Each practice session will be 2 hours long followed by a 30 minute off court fitness session. The training sessions will be from 10AM-12:30PM and 3:30PM-6PM each day. Classes will include technique work with dead ball and semi-live ball feeds. Cooperative live ball drills, tactical training through situational point play, a great deal of serves and returns, and a lot of set play and match play.